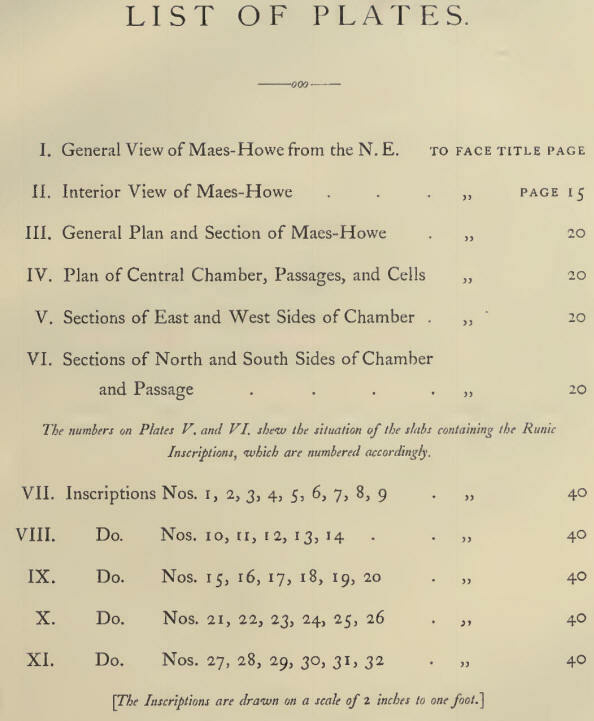 AS the following pages are intended only for private circulation among friends and acquaintances, and for presentation to those few Public Societies to whom such a subject may be interesting, it is hardly necessary to offer any apology for the many imperfections in the description of Maes-howe, which may doubtless be pointed out, and for the brief and cursory manner in which the subject is handled. I desire only to give a plain statement of facts, in the hope that attention may be drawn to this interesting discovery, and possibly some further impetus given to the elucidation of Runic literature. I have received from the learned professors, whose translations are given, much valuable information, of which, however, I can only partially avail myself, in consequence of my very imperfect acquaintance with Runology. I may add, that every possible care has been taken to ensure accuracy in the drawings. 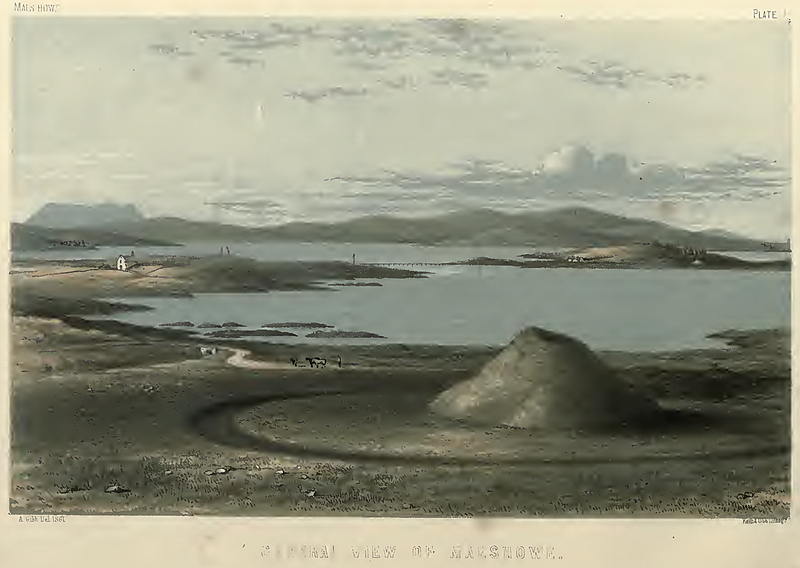 These and the ground plans were made by Mr. Gibb of Aberdeen—of whose care and accuracy in the drawings of ancient monuments Mr. Stuart has spoken so strongly in his "Sculptured Stones of Scotland," printed for the Spalding Club. The Runes were mostly drawn by my friend Mr. George Petrie of Kirkwall, and the drawings afterwards compared by Mr. Gibb with the originals in the building of Maes-Howe. Two separate sets of casts were made for me by Mr. Henry Laing of Edinburgh (one of which is now in the National Museum of the Antiquaries of Scotland, Edinburgh, and the other in the Museum of the Royal Northern Society of Antiquaries at Copenhagen.) Nothing could exceed the pains taken by Mr. Petrie and Mr. Gibb; and the drawings made by Mr. Gibb were on two occasions collated by him with the casts in Edinburgh, so that I have every reason to believe that they are as perfect representations of the original writings on the walls of Maes-Howe as can be hoped for, and not the less so that the gentlemen who made the drawings and collations were unacquainted with Runes. I have confined myself to the interpretations furnished by the three eminent northern antiquaries who have undertaken the task of deciphering these rude inscriptions, feeling assured that the high reputation which they enjoy is a sufficient guarantee for the accuracy of their translations. 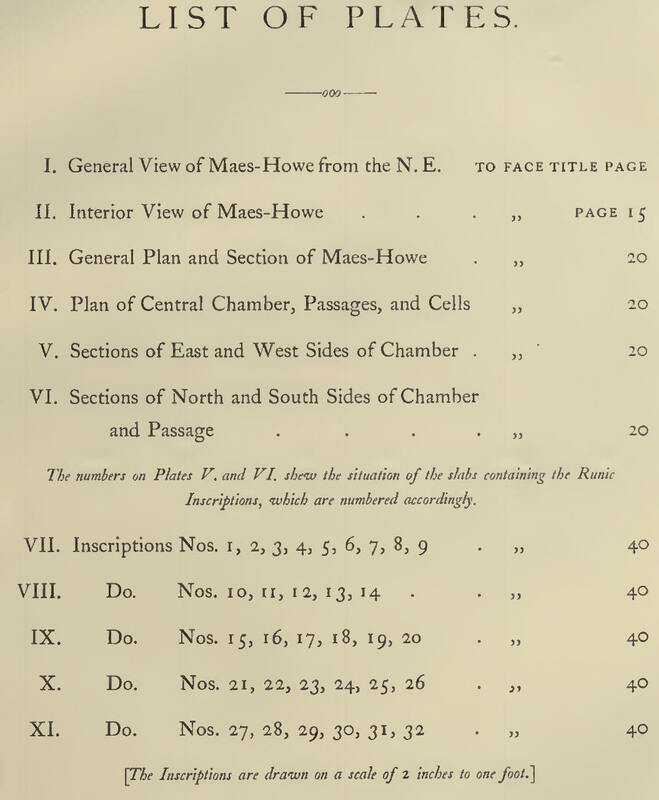 In concluding these few remarks I am anxious to bear testimony to the valuable assistance I have received from my friend Mr. John Stuart, Secretary of the Society of Antiquaries of Scotland, to whom in reality I am chiefly indebted for the discovery of Maes-Howe, since I owe to his urgent suggestion that the great circle of Stennes, and the tumuli around it, had not been sufficiently examined, the successful excavation of this ancient "howe." It is also highly satisfactory to me to know that Mr. Balfour of Balfour and Trenabie, on whose property this interesting relic of antiquity is situated, has taken the necessary steps to ensure its preservation—a precaution, unfortunately, too often neglected under similar circumstances.